We took the London Underground from Heathrow to Central London on our trip. The Piccadilly Line leaves directly from the Heathrow Terminal, and stops at many locations in London proximal to hotels, including Green Park (our stop, near Buckingham Palace), Piccadilly Circus, Covent Garden, and King’s Cross. At £5.50 per person, the London Underground is likely the cheapest option, but it is also the slowest, taking approximately one hour. Train cars on the Piccadilly Line all contain a useful luggage area near the doors, but once inside Central London, the large crowds do make it a bit awkward. It’s much easier traveling from Heathrow, where the cars start empty. Starting in London towards Heathrow with a full car can be difficult. If you are not traveling light, the Underground might not be the best choice. We were lucky that our hotel was right off the Piccadilly Line, as the Underground stations aren’t necessarily built for easy transfers with luggage. 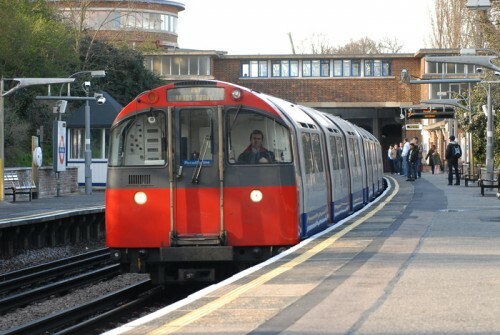 If you do need to make a transfer, it may be worthwhile to look at the “Avoiding stairs tube guide” from the London Underground, which details which stations have elevators. There are also conventional rail connections to London, all of which run from the Heathrow Central station at Terminal 1 and Terminal 3 to Paddington Station in Northwest London (which may or may not be convenient for travelers). Paddington Station does offer direct connections to the Circle, Hammersmith, Bakerloo, and District Underground lines. For us, we figured the time for a connection to Green Park (our destination) via the Bakerloo line would take longer than the time savings by riding the Heathrow Connect (about 30 minutes). 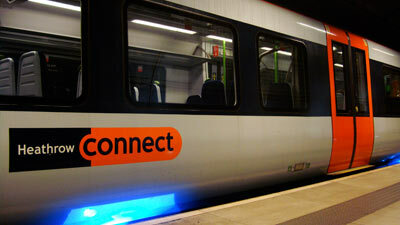 At £9.50 per person, Heathrow Connect is still a very affordable option for getting to the city. For travelers actually staying near Paddington Station, it’s an excellent option. Another plus is that the trains have significantly more room for luggage than the Piccadilly Line. Heathrow Express is the fastest connection option, but also fairly pricey at £20 per person. In 15 minutes, it zips you from Heathrow to Paddington Station. Riders are treated to onboard TVs, modern furnishings, and lots of luggage space. At twice the price as Heathrow Connect, riders are asked to pay a premium to save 15 minutes of time. 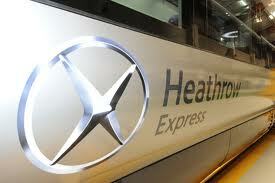 Heathrow also has bus and taxi options, both of which take approximately an hour to reach central London. Bus options range in price from £5 to £20 and you expect to pay £40 for a taxi ride. This entry was posted in Tips & Tricks, Transportation, Travel and tagged Europe, London, London 2012 Trip, trains, transportation, UK by Ryan. Bookmark the permalink.